After a roller coaster 2015, I was hoping to sort of coast into 2016 with a great outlook for the year. We had a quiet Christmas Day, followed by a fun weekend with my dad, aunt, uncle, and cousins Kate and Rachael. Tame New Years Eve and day due to me working. Things were going to be “the same” for awhile — anticipatory, hopeful, calm. A week ago, my dad had a terrible fall down the steep stairs leading up to his apartment. He suffered severe brain trauma which landed him in shock trauma ICU. His symptoms present like a victim of stroke. His left side is extremely weak and not very moveable due to bleeding in his brain. He is suffering from a great deal of memory loss and aphasia. His aphasia manifests itself in not being able to find the word he wants to say. There is a lot of confusion and anxiety going on. I’ve been trying to mitigate his anxiety through playing him music, encouraging singalongs, and cracking jokes. Shock trauma nurses are pretty no-nonsense with limited conversation other than “Do you know your name?” “Do you know where you are?” I understand that they are here not to humor or get to know the patient other than not allowing the patient to get worse. They are trying to stabilize and move the patient to the next step in recovery, which for Dad is hopefully a rehabilitation facility. They have missed some high notes in his days, along with some lows. Some of the nurses are better than others, and it can make a huge difference in Dad’s day-to-day. 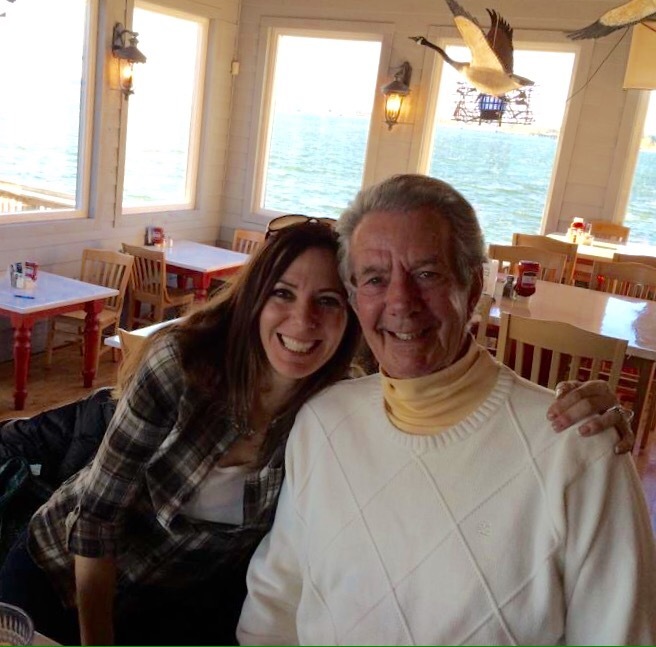 Some enjoy hearing that Dad tried to sing along with Dean Martin, or that he still practices law at almost 75, or that he was on the cover of the Catonsville Times a few years ago while pumping iron at the YMCA. Dad has moments when he seems to think he is back in the early 1960s. He kept saying, Wipeout, wipeout. I played Wipeout on my phone and he really got into it, pumping his right fist. I told him I take requests, trying to see if he can articulate what he is thinking. Aphasia doesn’t work like that. Yes or no questions are best, I’ve learned. Last night, as I was adjusting his respirator mask, I told him that it made him look like a fighter pilot. Top Gun is one of his favorite movies. I told him he was Maverick and I’ll be Goose — I asked him for a high five, and said his favorite line: “I feel the need, the need for speed!” He giggled and said, I feel the need for speed! several times in a row and held up his hand to high five. I have enough memories to draw on of times with my father. It’s been just he and I for a very long time since my mother passed. I’m drawing on those times to give me hope as we add these current times to our collective memory bank.